Being smarter about energy usage in your home. The best thing you can do to ensure your furnace operates properly is changing the filter once a month. Dusty filters make furnaces to work very hard, increasing energy costs and potentially causing blower malfunctions. Why heat your house to 68 degrees when no one is home, or when you’re sleeping at night? A programmable thermostat is an inexpensive improvement that will pay for itself again and again. Most models will allow you to preset and select temperatures by the hour for every day of the week. Wood Fireplace Insert: install one! Do you have a masonry wood-burning fireplace? According to the U.S. Department of Energy, they can exhaust as much as 300 cubic feet of heated room air outside your home every minute the burn, while drawing cold air in through the windows and doors. It’s warm near the fireplace, but heated air is being sent straight up the chimney and outside your home. 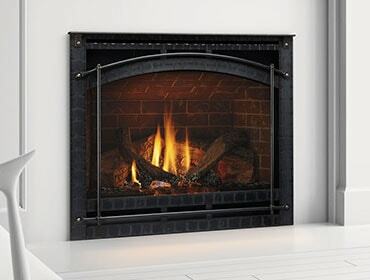 Transform it into a highly efficient (and beautiful) heat producer with a fireplace insert. Zone heating is simple – turn down the central thermostat and heat the areas where you spend the most time with your efficient gas, wood, or pellet stove or fireplace. It can reduce heating bills by as much as 20-40 percent, according to the Hearth, Patio and Barbecue Association. Check out this video about zone heating. The U.S. Department of Energy estimates that 40 percent of a home’s energy is lost due to air infiltration from the outdoors. Air seeps in through ceilings, walls, and also from areas exposed to external elements like windows and doors. You can greatly reduce this by adding insulation, and weather-stripping and caulking around windows and doors. The bottom line? You can significantly reduce your energy bills by doing these things – or even a few of them. Also, if you want to see how your home measures up energy-wise to similar homes across the country, ENERGY STAR offers a free online service called the Home Energy Yardstick. You’ll need last year’s utility bills handy, and it will only take 5 minutes. This is a great thing to do on National Cut Your Energy Costs day!